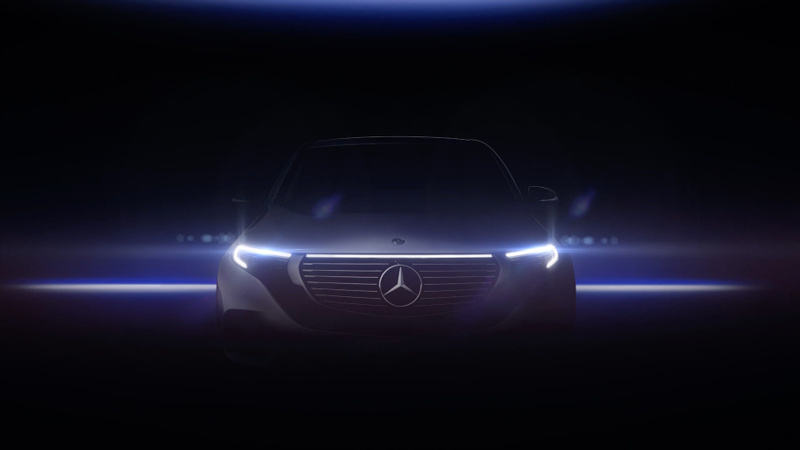 Another video teasing the Mercedes-Benz EQC is out. 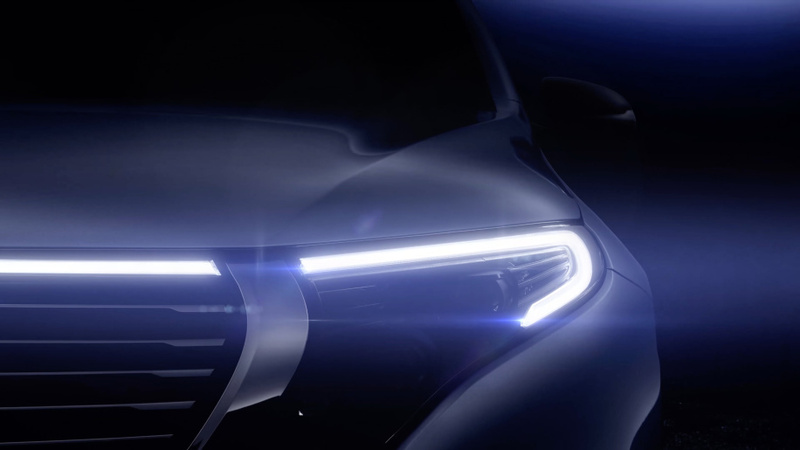 This time, the nearly one-minute clip takes us to the front of the electric sport utility vehicle, which gives us a good look at its headlights, grille, and hood. Based on the teasers and spy shots, the exterior of the EQC does not possess a lot of creases. That gives the surfaces of the auto a smoother and cleaner look compared with the current SUVs of Mercedes. Instead of the heavy use of sharp body lines, Mercedes made up for them with well-sculpted corners and panels. Meanwhile, the front is defined by an illuminated strip that runs on top of the grille in between the daytime running lights. The same treatment can be seen at the back of the vehicle. 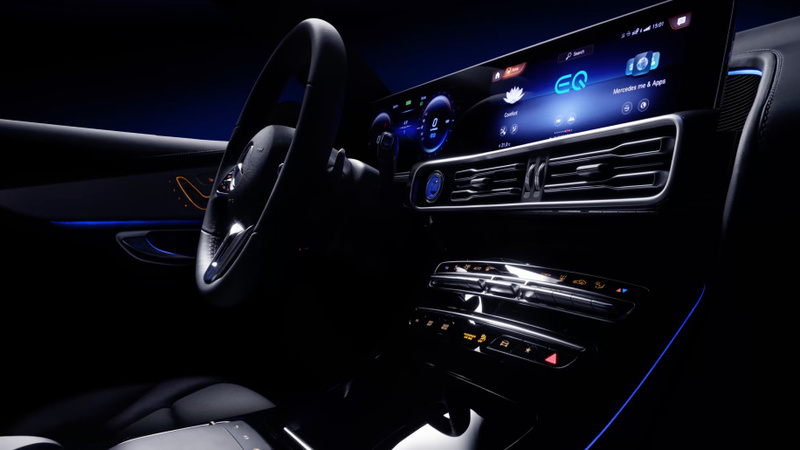 There is also a LED strip below the rear glass connecting the taillamps. The production version of the EQC does not appear to stray away much from its concept version. However, the upcoming EQC has adopted a more practical design by eliminating the glass panes over the hood and front grille. The front grille comes with a more traditional design too. Moreover, the side mirrors, which the concept removed in favor of cameras and sensors, are back. 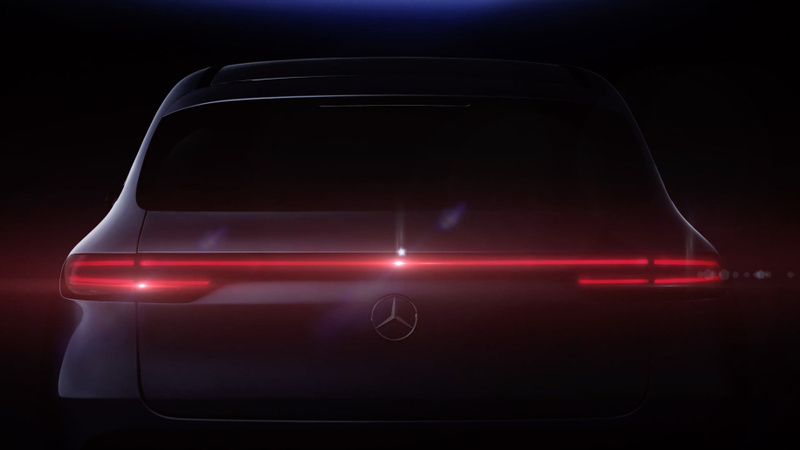 The video ends with a reminder that the Mercedes-Benz EQC will be officially unveiled on September 4 in Stockholm, Germany.